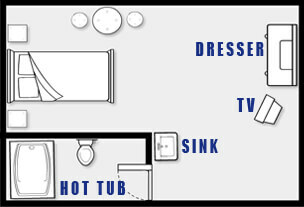 Our King Whirlpool Room type features One King bed, Large Whirlpool, Microwave, and Mini Fridge. 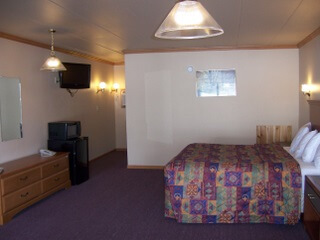 Max occupancy 4 people. Also available on 2nd floor.